I sat in a very interesting Website workshop a few weeks back and was surprised by the number of business owners who were uncertain – and even a little skeptical – about the potential that blogging adds to your business. The truth is that marketing strategies are always evolving and if we are to grow as entrepreneurs and business owners, we cannot afford to keep doing things the same way we did a decade ago. I’m here to tell you that blogging for business may be vital for the growth and success of your business and that you need a digital presence in order to thrive in a digital world. Let’s face it, there is no reach quite like a digital reach. You can press publish on a blog post one minute, and the next you can have an international readership with people (hopefully potential clients) picking up your content from across the globe. What other marketing strategy gives you this reach? If you’ve been relying on Word of Mouth marketing or cold calling clients, perhaps it is time to think bigger and go digital. Blogging for business can do that for you! By publishing fresh new content digitally on a regular basis, you are creating a digital presence that will be rewarded by the likes of search engines such as Google. When potential clients search for a topic related to your business (and hopefully what you have been blogging about), they will find you with greater ease. Kickstart your digital presence with great content and get noticed by potential clients looking for a business just like yours online! If you’re blogging about relevant issues related to your business on a regular basis, you will easily grow a loyal audience interested in what you have to share. The key here is to establish yourself as someone ‘in the know’ – an expert in the field with valuable information to share. If you are never to change anything about your business website, why would anyone return to see the same thing twice?! Blogging for business puts fresh new content out there on a regular basis to engage with your clients and establish your brand as an authority in the field. Blogging for business is not simply writing about whatever comes into your mind. No. Careful content planning and creation are key. Write with your target audience in mind and establish your brand as a valued asset in the minds of potential clients. Learn about writing for SEO and learn to optimize your digital strategies even more! Not only will this attract people to your blog (and business), but blogging for business will also help to boost your digital presence and SEO ranking. It’s so much more than simply putting content out there in the big wide world. You want people to actually read your content and respond – whether good or bad! Writing about relevant topics related to your business will spur engagement from those interested in what you have to say. Original, fresh content is key here and that’s why it’s always a great idea to plan ahead and strategize a content plan. 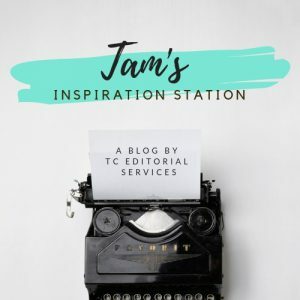 At TC Editorial Services, I write fresh blog content for a number of clients ranging from lifestyle (decor, parenting, wellbeing, photography and the arts) to medical content, retail columns and more. We all want to make money in our businesses, right! Our choice of marketing strategies can certainly work to drive traffic and potential sales. Blogging for business is one key strategy that should not be overlooked. When you focus on building a digital presence, clients can more readily find you and engage with your content. A blog brings a fresh new perspective to your site. Clients are also immediately confronted by all of your information and business offerings and they become ripe for the picking. Need help with content creation for your business blog? Get in touch (use the form below) and let’s make your brand a powerful force in this digital world! Thanks so much! Appreciate the great feedback.